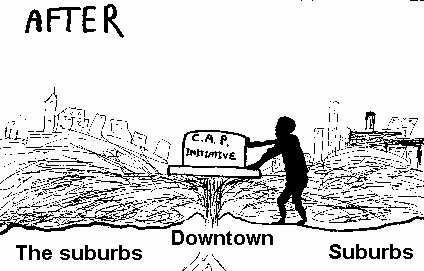 CAP Initiative restricting height of downtown buildings back in the 1980s, I drew this cartoon back then. 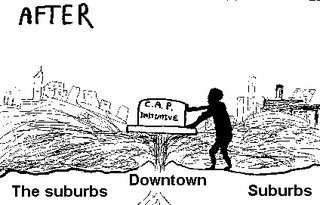 Now Seattle is talking about lifting the cap initiative. Let real tall buildings be built downtown again. 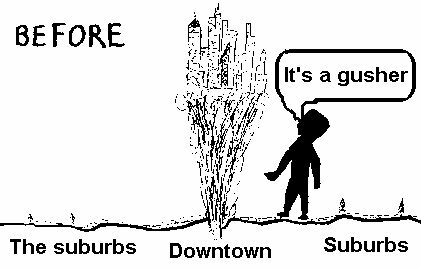 It's a case of building up instead of sprawling out. Still, we do have immigration and over population problems. Where can we put all those people? Up is better than out, in my opinion. Still there isn't that much room, especially in Seattle.